Barcode Datalink has assisted various local and state government departments use barcode scanners for a variety of applications. One council added a Code 128 barcode to the rate payers notice. The barcode contained the customer code, the amount due and the type of notice. As you can see from this one barcode scan did in less than one second what would take an operator 30 seconds to do - or longer if they made a typing error. All of Motorola's barcode scanners have the ability for data formatting. Using Scan123 it is easy to create rules. Using a Windows based application you create the rule. Then print out the barcodes for that rule and then scan them into the barcode scanner. It's very easy to do. Today we would recommend using the LS2208 or LS4208 laser scanner. In the past we used the Symbol PDT3100 Series scanners in batch mode which allowed the operator to walk around the office and scan each of the files sitting on the desk. This data was later downloaded from the PDT to a PC and the resulting CSV file was uploaded into the host system to update the current location of the file. These days the same data collection can be achieved with a range of smaller, cheaper and more feature packed mobile computers. 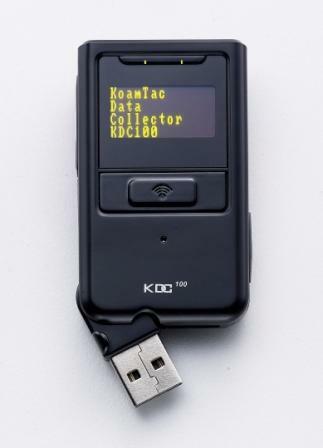 The smallest, cheapest and simplest device for straight out scan, scan, scan functionality is the KoamTac KDC-100 and KDC-200 scanners with built-in USB interface. Click on the image to see more details on this mobile device. Knowing what assets you have and where they are is important for any organisation. In the past we used the Symbol PDT-3100 in batch mode to capture the details about an asset. The barcode number, what it is, the location and condition. We wrote dozens of customised data collection applications for the Symbol range of PDT scanners. More recently we have written mobile applications for the Motorola MC50 (any device with Pocket PC-2003, Windows Mobile 5/6.1 or CE5/6). The data collected could be downloaded and imported into an asset tracking application. To help you implement an asset tracking solution Barcode Datalink supplies both plastic and aluminium asset labels in a variety of sizes. We can tailor a data capture application to suit your requirements and provide advice on how best to go about collecting the data. Please call us to discuss your needs.